Child abuse is one of the meanest and most heinous crime taking place in our society. We often read in papers, about the sexual assault mercilessly being committed on children as young as 3 years or less. Thus when we talk about child abuse a picture of a dead, severely hurt or crying child comes to our mind. But, this is not always the case; since, more often the abuse is well hidden and carried out for years never to be discovered. We need to watch out for this worst kind of social evil which exists among us, wake up from being passive spectators, try to intervene and help whenever possible to eradicate this evil permanently from our society. We live in denial that such things do not happen in our cultural society. To bring about change, first awareness and then acceptance about child abuse is very important. Physical abuse: - This is usually carried on by the people who believe in capital punishment (again in the name of discipline). Hitting the child, makes a person feel that they are in control of the situation and in position of authority. Often parents beat children because they feel it is a channel to vent out their frustrations. Some parents or teachers may not have skills that are required to handle a child with extra energy, inquisitive mind or a tinge of naughtiness. Their lack of knowledge and ability in handling the child will lead them to the easy way out by meeting out capital punishment. Physical abuse only gets momentary unwilling compliance from children. Constant physical abuse can push the child to become more stubborn and obstinate. 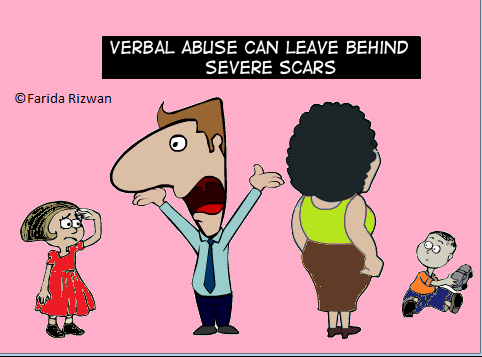 Sexual Abuse : This is very dreaded word because verbal and physical abuse do not cause as much emotional trauma as sexual abuse. 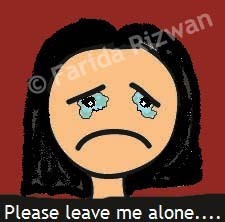 According to survey 40-70%girls are victims of sexual abuse in India. 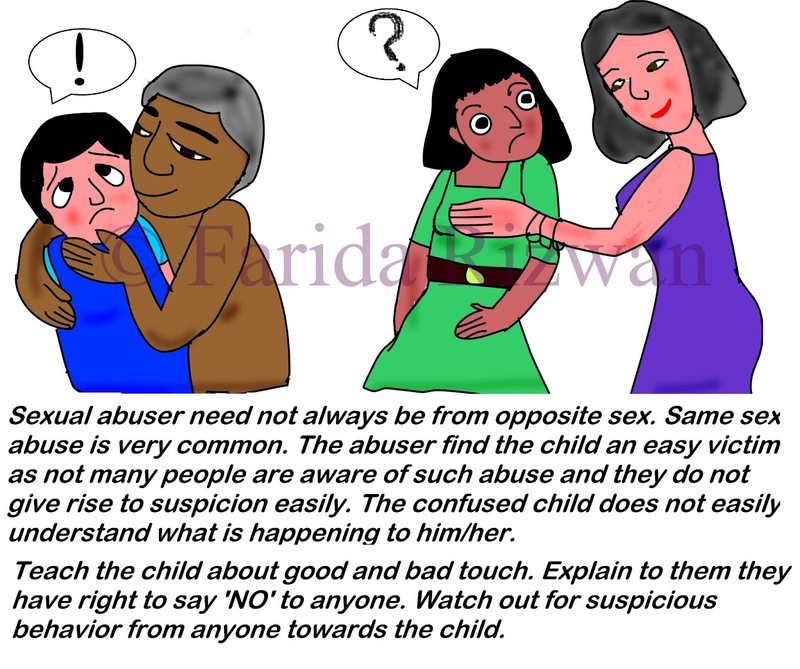 Though putting fingers in children's mouth, making them sit between legs,or holding them too tight may not look like abuse to you because the child is not hurt, know that it is not the way you are supposed to handle children. Watch out for such behaviors and put a stop to it immediately. 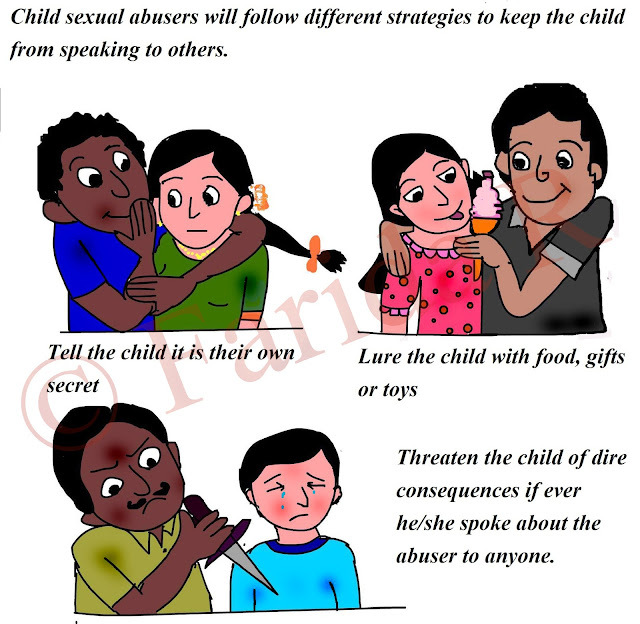 Why are abusers usually and stereotypically I may add, shown as dark skin? and the child as light skinned? 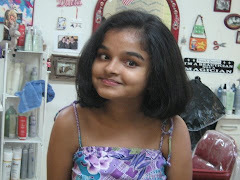 If you check out all pictures, you will notice that some abusers are fairer than children in those pictures. This is not about any race, culture or color, is about saving the children from potential abusers. Stick to that cause. 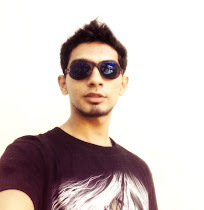 Sad to see the first comment on this. ! I mean, really? 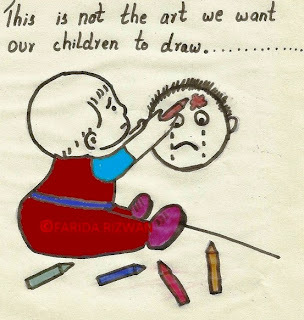 All aspects of child abuse thoroughly thrashed out Farida. Hope this helps many parents . 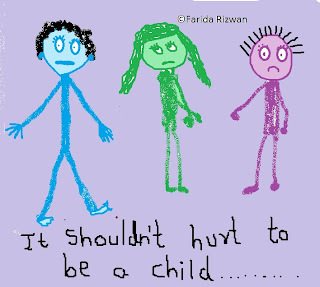 I think most child abuse cases are happen in higher society, I have read one report on Wiki, where according to the survey done by NGO, there are 76% of the women accept that they are the victim of Child Abuse, the stats are really pathetic.